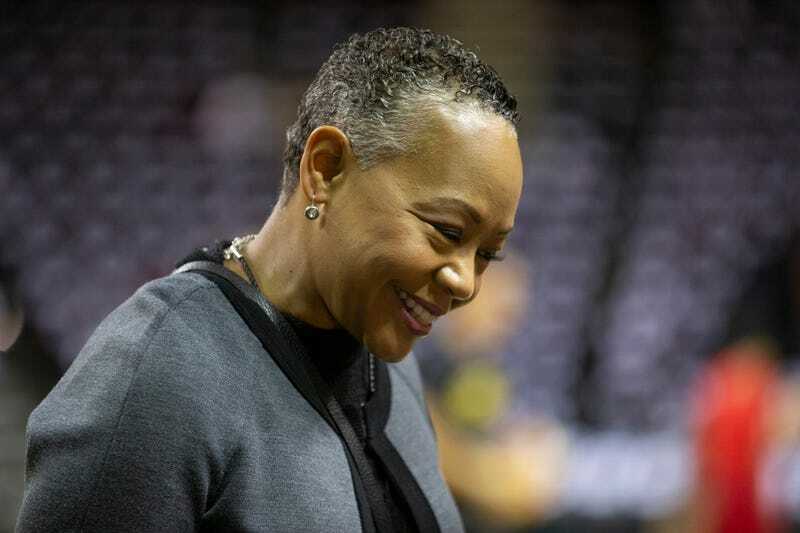 Time’s Up, the gender-equality initiative founded in the wake of the #MeToo movement, has selected former Women’s National Basketball Association President Lisa Borders as the organization’s first president and CEO. The decision was formally announced Tuesday morning by the organization, which was started earlier this year by women in the entertainment industry. But the scope of Time’s Up has extended far beyond Hollywood—including advocating for protections for farmworkers, restaurant workers and domestic workers, as well as setting up a domestic legal defense fund that connects survivors of sexual assault, harassment and misconduct in their workplace to legal and public relations assistance. A press release from Time’s Up heralded Borders’ three decades of experience in “operations, marketing, government relations and public service,” specifically her most recent work as President of the WNBA, where she oversaw the league’s day-to-day business and basketball operations. In her time as president, Borders rebounded the league’s in-person attendance—with 2017 marking its highest attendance numbers in six years. The WNBA also experienced double-digit growth in television viewership this year. Previously, Borders worked as vice president of Global Community Affairs at the Coca-Cola Company and chaired the Coca-Cola Foundation, and served as vice mayor of Atlanta and president of the Atlanta City Council prior to that. Time’s Up has been shaped by women of color since its inception, with Rhimes, and actresses Kerry Washington and Tessa Thompson serving as founding members and vocal advocates for women’s issues. This year, women of color within the organization penned an op-ed in The Root calling for a boycott of R. Kelly’s music in an online campaign called #MuteRKelly. The campaign drew the ire of the R&B singer, who has been accused of sexual abuse for decades. Most recently, members of Time’s Up urged Supreme Court nominee Brett Kavanaugh, who stands accused of multiple allegations of sexual assault and misconduct, to withdraw his nomination.